In a very similar way as to how I got to know of Evoluent, the same rep from Prestige International introduced me to Penclic. Penclic is a family-run Swedish company with some fairly unique-looking mice and some compact keyboards - all conceptualized with ergonomics in mind, and with a Scandinavian mindset in design. 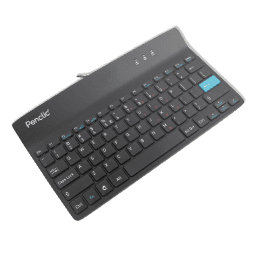 Today, we take a look at their Mini Keyboard C2, and thanks again to Prestige International for providing the review sample. This is, as the name suggests, a mini keyboard. Think of a laptop keyboard, but discrete and portable. At this point alone you would either have decided that this is not for you and closed the tab or become interested enough to continue on. To the latter - good choice! There are some low-profile mechanical switches and keycaps, and more are coming this year, but scissor switches remain the lowest-profile tactile switches in use now. 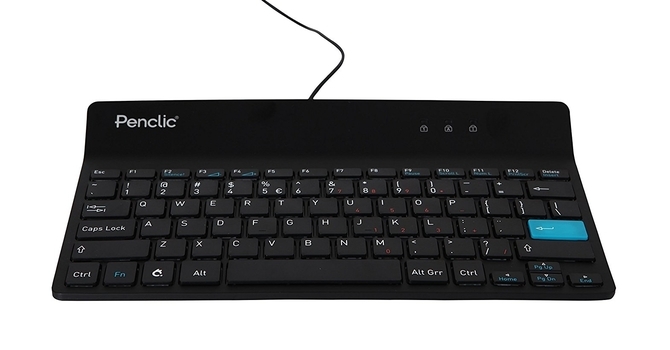 Penclic has put most of a TKL keyboard in here, and there is a trick to get a numpad as well, in a small form factor to where ergonomics come into play. The shorter width of the keyboard means your hands are closer, hopefully in line with your shoulders, and that they don't have to move much either. Your mouse can be closer to your body as well now, and this change alone can make a world of a difference in typing comfort during long sessions, which I can attest to myself. So let us take a detailed look at this keyboard, beginning with the specifications below. 0.38 kg / 0.84 lbs.